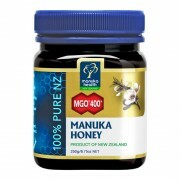 ﻿ Terms & Conditions | Manuka honey - natural dietary supplement! Welcome to manuka-medus.lt. Please take a moment to read the following terms and conditions that apply to the use of goods and services provided on our website. By using our website and placing an order with us, you have indicated to us your acceptance of our Terms and Conditions and are bound by the conditions and policies listed below. The below may be amended by manuka-medus.lt from time to time without prior notice. If you are unsure of any part of our terms and conditions, please feel free to contact us at info@manuka-medus.lt before you complete any transactions. All content on our website, including text, graphics, logos, etc are the property of manuka-medus.lt or its content suppliers and is protected by international copyright laws. No content on this website may be copied, sold or used for any commercial reason without our prior written approval. All prices displayed are in Euro (EUR) and are inclusive of VAT. All orders are subject to availability and acceptance by us. We have the right to refuse an order for any reason. You may receive an order receipt via email from us but this does not constitute that the order has been accepted by us. Only when you receive a delivery confirmation via email, that the contract of purchase has been accepted and formed. Should manuka-medus.lt not accept your order for whatever reason, a full refund will occur at the earliest possible convenience. Manuka-medus.lt are under no obligation to ship any goods until confirmation of payment has been received. All prices are inclusive of VAT. In the occurrence where the goods are not available, manuka-medus.lt will refund you at the earliest possible convenience. 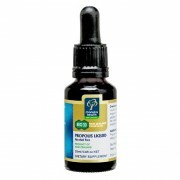 Your use of the manuka-medus.lt website is at solely your own risk. Under no circumstances will manuka-medus.lt, its owner, employees and representatives, third party content providers etc warrant that the website will be uninterrupted or error-free. 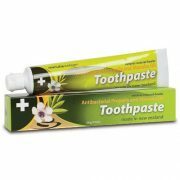 Manuka-medus.lt does not make any warranty as to the results that may be obtained from the use of the website, information, content, service or products provided via the website. Customer and order information are not kept on the website, but are emailed directly to our order center. In addition, when we receive your information, it is stored on a secure location in our office so that it can only be accessed by us.